"pro-Israel" is praising these crimes. 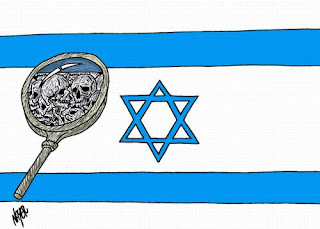 ﻿To be “pro-Israel” is to be pro-torture, as most prominently evidenced by the gruesome, heinous and inhuman methods used by Zionist occupiers against the defenseless Palestinian people during the First Intifada (24) and the recent exposure of Shin Bet’s history of systematically subjecting Palestinian children to electrocution (25). Why are these inherently bigoted and racist phrases acceptable to this Jewish Marxist enclave but the phrases “Jewish supremacism,” “the Jew,” “Judaism” and “Jewishness” aren’t? 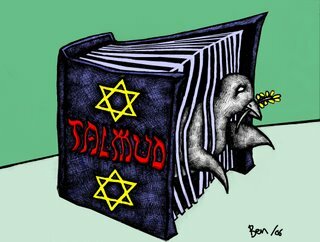 The phrases that they are comfortable with have no basis in any reality, political or otherwise, whereas the phrases that they deem “anti-Semitic,” or “racist,” are quite prolifically relevant and veracious when considering that the Jewish community at large is very much connected to a global, tribal lobbying network that suffuses media, religion, finance and politics (30). Professor As’ad AbuKhalil, who has tainted his name and credibility by joining the Jewish tribal nexus’ war against Gilad Atzmon, and tainted it even prior to that by doing the ADL’s dirty work in smearing the brilliant Lebanese-American activist, thinker and journalist Mark Glenn (37), recently declared that, “If you find yourself on the same side of any issue--foreign or domestic--with Sen. John McCain, reexamine your positions. Something is really wrong with your position (38).” The professor now finds himself on the same side as the vile, treacherous ADL and the abhorrent Alan Dershowitz. He should take his own advice and reexamine his position because there is "something really wrong with it." For the sake of the truth, Palestine and humanity as a whole, he should abandon his post as the “token Arab” of the Jewish tribal nexus’ Orwellian Thought Police and encourage others, Jews and non-Jews alike, to follow in his footsteps. Alas, this seems quite unlikely. A popular phrase in Solidarity discourse is “Not every Zionist is a Jew and not every Jew is a Zionist.” While this indeed may be accurate, it deserves an addendum. No matter how unsettling it may be, no matter how offensive it may sound, facts are facts, truths are truths. 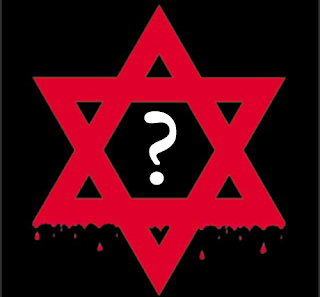 And the facts and truths say, unequivocally, that most Jews, unfortunately, are Zionists; most Jews support “Israel,” a racist, exclusivist, chauvinist “state” built on lies, massacres and dispossession of the Palestinian people; a "state" which discriminates and carries out atrocities against non-Jews on a regular basis. Jonathan I'm curious to know what you think of Hamas' move away from Assad, and toward Qatar and the Muslim Brotherhood. Hamas supported the attack on Qaddafi, and now against Assad, the two greatest supporters of Palestinians. Hamas has now angered Assad, Iran, Hezbollah, and Egypt's military junta. They are also beginning to anger Jordan's government, which is trying to stay neutral toward Assad. If Assad falls, then the Syrian civl war will become like Lebanon's civil war, with everyone fighting everyone else, and all of them fighting Palestinians. 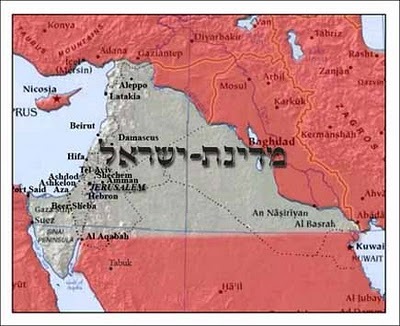 The Jews will bombard Gaza, and it will be on to Iran. How can Ron Paul supporters be responsible for this? "Anti-Zionist, Pro-"Israel"? It makes no sense at all. 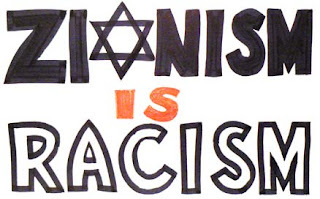 If you're Pro-"Israel" you're a Zionist, period. Great reasoning and article as usual, will get this out there for you. To put it bluntly, and obviously leaving out a multitude of details, Hamas is selling out... not every individual member of Hamas of course, as overall, it remains a righteous organization, but the leadership, is gravitating towards GCC-puppetry. Hamas is still the Resistance and still the democratically-elected government of the Strip and under crippling Zionist siege, they have done their damnedest to give Palestinians some sort of a life... but there is simply no excuse for forging alliances with the Gulf pigs that do the Zionist entity's bidding. It is the wrong path. Only time will tell if they will return to their roots. Watch this space for in-depth analysis on this matter very, very soon. I have no clue whatsoever why you would inject Ron Paul into this discussion as he has nothing to do with this piece, nor have I discussed him in any radio broadcast that I've done as of recent but nevertheless, "Israel" is not a typical "nation," in fact, it is an illegal entity that was forged in total criminality and that is why there is a call from Palestinian civil society to boycott for its egregious violations of international law and plethora of crimes against humanity: http://www.bdsmovement.net/bdsintro#.T1kVEnllLIU There can be no trade with this criminal entity; there will be no recognition of it. And lastly, to my dear brother Andre! Wa salaam akhi! Shukran kteer my dear brother! I'm happy you enjoyed it! Yes Jonathan, that was my conclusion also. The only true friends the Palestinians ever had were Qaddafi and Assad. Now Hamas leaders have betrayed both. They are casting their lot with the Muslim Brotherhood, plus the Khaleeji dogs, because they think the MB / GCC / Western / Israeli nexus will destroy Assad. They are naïve, because if the MB takes total power in Egypt, then the MB will have no more use for Hamas. If the MB does not take total power, then the military junta will have no use for Hamas. If Assad falls, then Qatar will have no use for Hamas. Iran and Hezbollah already have no more use for Hamas leaders, since they betrayed Assad. Now, who will protect the 400,000 Palestinians in Lebanon? Jordan’s two million Palestinians cannot be happy about this. And if the Brotherhood takes power in Syria, this will not improve the condition of Palestinians in Palestine. There was no need for Hamas leaders to move out of Damascus at this time. They were under Assad’s protection, just like the Christians, Jews, and Shiites in Syria. But they suddenly became ambitious, aligning with Jews, the West, and the Gulf oil pigs, all of which despise them, and will get rid of them the moment Assad is gone. What fools! One other thing, Jonathan. I am nauseated by all the “pro-Palestinian” people who cheered for the destruction of Qaddafi, and now cheer for the campaign against Assad, not grasping that the “Arab Spring” has been totally hijacked. For these clowns, being “pro-Palestine” is chic. They wear keffiyehs and Che Guevara tee-shirts as fetishes. 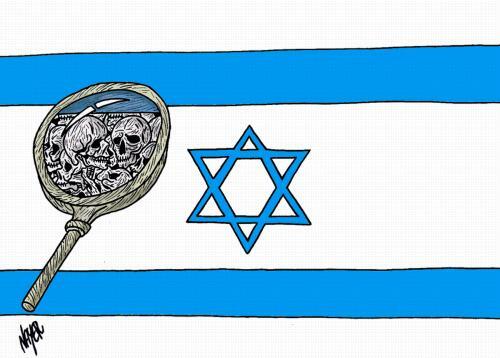 They bless the Zionists that want them dead. Then there are Neo-Nazi nitwits who claim to support Palestinians, but are merely white supremacists. Then there are “anti-Zionists” who equate Zionists with Hitler, thereby upholding Zionist lies about the holo-hoax and National Socialism. “Anti-war” people cheered the war on Libya, and now on Syria. So do socialist blogs. The 75,000 Syrian Jews in New York support Assad, but they are Misrahis, hated by the Ashkenazis. So they are ignored. At least YOU have a clue as to what’s going on. Excellent essay Jonathan, as always. You really are a phenomenal writer my friend, I always enjoy reading your essays and learn a great deal. I just listened to your interview with Deanna earlier today. I was planning on calling in, but I didn't have the time today. It's so liberating hearing the truth, and you certainly have a way of communicating it. 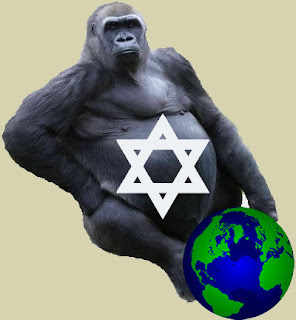 I can't thank you enough for all the work you do exposing and resisting this Jew World Order, keep it up. 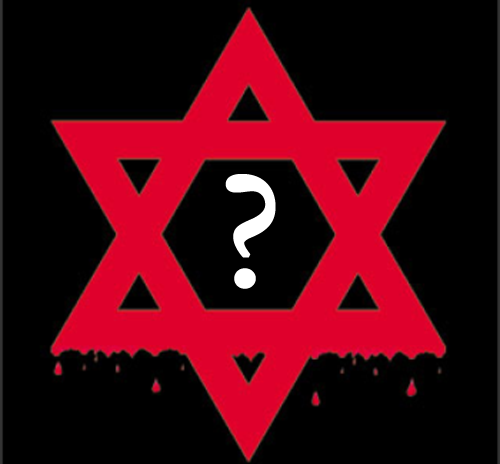 It's a terribly sad commentary on our society that we cannot openly and honestly discuss the one group we absolutely need to be openly and honestly discussing - of course I'm talking about the criminal Jewish supremacist network that controls the West and Israel. The conditioning the people in this country have been subjugated to, not to mention the daily barrage of Jewish propaganda, makes this a taboo subject. But I think that is changing, however slowly, as this group has been thoroughly exposed at this point thanks largely to the internet. Honest historians, writers, journalists, ect. 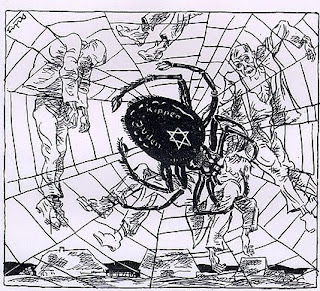 throughout history have written about and exposed the criminal Jewish supremacist network, but their work has largely been suppressed. With the internet, millions of people have been able to educate themselves about this subject, and countless others are waking up and recognizing that something isn't quite right. 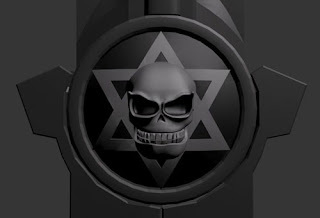 Virtually all of the activist groups that I run into in California and on the web are totally missing the point and are afraid to get to the heart of the matter - criminal Jewish supremacism. There are very few anywhere that truly understand the nature of the beast we are up against. All the activist groups - 9/11, pro-Palestinian, anti-war, Occupy Wall Street (especially OWS), ect. - fall for at least some aspect of Jewish propaganda or conditioning, and are scared to death of anyone speaking about Jewish power and supremacism being the key to unifying oppressed people of all stripes. After all, it's "anti-Semitic" and "hateful" to speak the truth these days, right? Simply put - we can no longer let the Jews control the debate and control how we think about them. These murderous criminals are on the verge of destroying the planet, and we have people screaming it's "anti-Semitic" to even discuss their criminal behavior and history. I really began to understand this stuff after recognizing that 9/11 was done by this group. It's so obvious at this point. I've tried getting people to recognize this in the 9/11 Truth Community, and have been met with a lot of resistance because it's too "radical" and might "alienate" people in the movement. Give me a break... It's time for people to grow up. Oh, and these Muslim Brotherhood people and loose-knit “Al Qaeda” types? They care no more for Islam than Southern racist bible-thumping white Americans care about Christianity. They just want power over others. Meanwhile the Gulf oil pigs spout anti-Israel rhetoric in public, but sleep with Zionists in private. They are drunkards and perverts of boundless greed and arrogance. They are the anti-thesis of Islam. And please, someone tell Hassan Nasrallah to quit believing the Zionist corporate media. Qaddafi did NOT kill brother Imam Musa al-Sadr, the founder of the Amal movement. That was a Mossad / CIA hit to separate Qaddafi from Amal, so Nabih Berri could take over the Amal movement, and sell it out to the GCC / Western / Zionist alliance. Hence the Hezbollah split with Amal. Nasrallah should know better. I'm glad YOU, at least, are awake, Jonathan. Another meaningful and insightful writing, Brother Ziah. Of course I have just posted it! I am so looking forward to your piece on Hamas. The questions you answer have been bothering me for the past few weeks. In fact some of the turning of backs over the past months has me puzzled. It seems Hezbollah and Hamas are going through some changes that are rather unsettling. AND, it is good to have you back and active with Mark again as well. The airwaves get a tad dull without your enthused passion and clear insights. I missed the one in which you discussed your Mother. Recently I saw somewhere some criticism of you ... that you are Jewish. I remember your mentioning your heritage once or twice long ago but forget the details, however I knew the slur being cast was ludicrous. Hey Brother! Excellent article. Listening now to a show you did with Mark Glenn http://www.youtube.com/watch?v=Mcbk21HDgss on youtube. ps: I have realized something on VT, things with 'g' not as they seemed. Sometimes someone can be so good at what they do, takes time to see them show their true colors. For the most part, I agree with all of what you have written, specifically regarding the hypocrisy amongst the ranks in "our movement." Nothing makes me angrier than the constant bombardment of anti-Hitler, anti-Nazi propaganda, hence the reason why I composed the piece before this one. The reason for me bringing this up is that just because they support Bashar al-Assad, it doesn't necessarily make them good people. In fact, the opposite is true, as is the case for any person of Jewish background that continues embracing the supremacism deeply embedded in the Jewish culture. Secondly: the matter of Qadhdhafi and Sayyed Mousa al-Sadr. Do you have any evidence (links, books, etc.) to back up this claim that Mossad/CIA murdered the Sayyed? This is something that I've heard rumors about for years (and even wrote about it here: http://www.maskofzion.com/2011/01/occupied-iraq-new-year-same-zionism.html) but have never managed to find a lick of evidence to back it up. 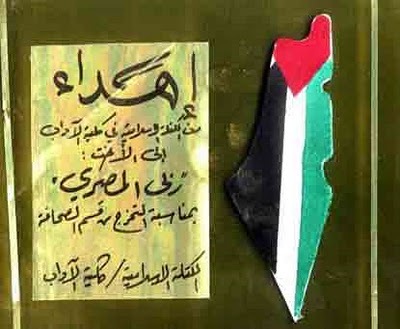 Nabih Berri indeed was a war criminal and indeed participated in Zionist-American plots against Lebanon but "Hezbollah" didn't "split" with Amal brother... members of Amal abandoned the org as it was drifting away from Sayyed al-Sadr's teachings and they then founded their own group nearly 5 years after the Sayyed's disappearance. I find it very disrespectful for you to talk about Sayyed Hassan Nasrallah the way that you're talking about him brother Konrad, I don't think that it is a matter of debate that Sayyed Nasrallah would know more about Sayyed al-Sadr than anyone in the world, he's obviously not believing the Zionist media but his own gut feelings after a mentor of his vanished into thin air. He certainly knows more than you and more than I and he is 100% right when he says that the Sayyed's vanishing benefited nobody but the Zionist entity. Qadhdhafi's refusal to help Hezbollah find the Sayyed and his seeming nonchalance to the whole matter, his refusal even to engage in public discussion about it, is very telling to me. Its very clear to me (and most Arabs for that matter) that Qadhdhafi had a hand in the Sayyed's disappearance... his lack of speech about it is an admission of guilt... and if not total guilt, partial guilt then. This doesn't take away any of the remarkable things that he did for his country or his Resistance to the West and the usurping Zionist regime, it just means that this is a black mark on his record because sadly, he never tried to rectify it. Why? Why didn't he go to Lebanon to fix it? Why didn't he invite Hezbollah to Libya to fix it? At the time, Sayyed al-Sadr was the most important Arab leader in the world, his vanishing devastated Muslims and Christians like, Sunni and Shi'a alike as he was loved by all. Why wouldn't Qadhdhafi do everything in his power to help the Resistance find their spiritual guide?? I would assume that both Qadhdhafi and Sayyed al-Sadr are sitting in Jannah (or close to it) and laughing about this whole thing. I hope that I am right and I hope that the truth, the horrible truth about this maddening mystery will come out one day. Thank you again akhi for a lively discussion. As always, thank you for reading, your support is very much appreciated. And lastly, thank you for your kind words and praise sister, you know that the radio is a platform in which I speak from my heart as much as I speak from my mind; it is the nexus of the two. Regarding my heritage... everyone knows that my mom is a Jewish woman, I've never hid this because I don't believe that it is an issue and everyone also knows that my mom hates the Zionist regime and hates the supremacism that is inherent to Jewish culture and it is something that she has triumphed over, I have never hidden this either.. Everyone also knows that I am an exceedingly religious Muslim and the history of my father's family's struggles in the Iraqi homeland I've never set foot on is the core of my identity as a struggler and fighter in this war against International Jewry and Global Zionism. If anyone really is criticizing me over that... my background... then you know what sister? So be it... I can't change where I come from and even if I could, I wouldn't. I'm proud of my mom and the journey that she has traveled, I have more respect for her than any other woman on earth and I am even more proud of the history of my father's side, many of my family members fought and died against the Rothschild-financed British assault on Iraq during the Great Iraqi Revolution of 1920. Truth is what matters. The fight for equality is what matters. Ending Jewish supremacism, Jewish dominion, Jewish power, is what matters. Nobody can deny that I embody these things and even if they do, ALLAH (SWT) knows best and He matters more to me than anybody and anything; He knows who I am, what I am and why I do what I do. I would hope that my sincerity and truthfulness are as clear as the sun is bright. I would pray that people hear my heart bleeding when I speak about these matters... I would hope and pray. Blessings to you sister Tina! Very nice to see you, it has indeed been quite some time and I too miss being on the Watchmen. Doc is a righteous brother who I keep in my prayers, if you speak to him, give him my salaams and regards and anytime he'd like to have me back on, just let me know, I am always game! Thank you for reading and my next piece should be up in the following days God willing, its going to be another (relatively) short one, but an important, very powerful one. Regarding VT... I knew something wasn't right with that place a long, LONG time ago, hence why I stepped down and disassociated myself from it. When they backed the American assault on Libya, at the Zionists' behest, I was infuriated and had to RUN away from them. I always hoped that the editors would come to their senses and return to reality, disavowing the garbage they had churned out that was filled with the parroting of Zionist media hasbara but they didn't. Anyone still affiliating themselves with that rag is doing themselves a major disservice and infecting their reputations with poison. This is sad but true nonetheless. Brother Jonathan writes: "Just because Syrian Jews support Bashar al-Assad, it doesn't necessarily make them good people. In fact, the opposite is true, as is the case for any person of Jewish background that continues embracing the supremacism deeply embedded in the Jewish culture." Agreed. Likewise, just because a Muslim condemns Zionism does not make him a good person. The Libyan terrorists accused Qaddafi of being a Zionist. The Syrian terrorists say the same about Assad. Muslims good and bad accuse each other of being Zionists. The Gulf pig emirs SLEEP with Zionists, and crush popular dissent by calling it "Zionist." Brother Jonathan writes: "Do you have any evidence (links, books, etc.) to back up this claim that Mossad/CIA murdered the Sayyed?" Unfortunately no, because this has been very hushed up. But I ask why Qaddafi would want Musa as-Sadr dead. Qaddafi said he supported the Sayyed, and that he had a very cordial meeting with him. Then, according to Qaddafi, the Sayyed went to the airport to catch a plane to Italy. Then he vanished with his two aides, allowing Nabih Berri to take his place. Berri, of course, says Qaddafi did it. The Jews that run wikpedia claim claim that Qaddafi did it. Their proof? Tabnak, an opposition web site affilated with Ahmadinejad's rival Mohsen Rezaee Mirgha'ed. Tabnak's proof? They claim to have heard this from the Kuwait newspaper "Al-Rai," which heard from someone who heard from some unnamed "source." No proof. No sources. No references. So we don't yet know what really happened, but shouldn't we first ask "qui bono"? Since the Zionist entity benefited from Musa as-Sad's disappearance, they are the first ones I look to. How did Qaddafi benefit? Neither he nor Musa as-Sadr were friends of the Shah when the Sayyed disappeared. Brother Jonathan writes, "Its very clear to me (and most Arabs for that matter) that Qadhdhafi had a hand in the Sayyed's disappearance... his lack of speech about it is an admission of guilt... and if not total guilt, partial guilt then." It is also "very clear" to a lot of Arabs that Qaddafi and Assad are mass-butchers. Does that make it true? Anyway, Qaddafi denied it. Why do you think this is "lack of speech"? Who do you think a flat-out denial is an "admission of guilt"? Brother Jonathan writes: "Why didn't Qaddafi go to Lebanon to fix it? Why didn't he invite Hezbollah to Libya to fix it?" Lebanon was locked in a deadly civil war involving multiple different factions. Two years after the Sayyed disappeared, Iraq went to war with Iran, with the USA arming Saddam, and Israel arming Iran. Amid such chaos and cinfusion, Qaddafi would have been called a liar no matter WHAT he did or said. It would have been useless for him to step into such a mess. Thank you for your kind responses, and please keep up the good work. "Everyone also knows that I am an exceedingly religious Muslim and the history of my father's family's struggles in the Iraqi homeland I've never set foot on is the core of my identity as a struggler and fighter in this war against International Jewry and Global Zionism. If anyone really is criticizing me over that... my background..."
Good point. Semites... not to be mistaken for international Jewry and global Zionism. Not only this article is gone. I asked to be taken out of the deLiberation writers list and disengaged from the site for personal reasons. I have nothing awful to say about the site, its an excellent information source and I have a tremendous amount of respect for the brothers (and sisters) running it and partaking in it, its just something that I cannot be part of now. As you know already, you can find all of my writings here and at numerous other places across the web.